I will skip Bangkok for now, as we escaped the city as quickly as we could. And was wise to do so! 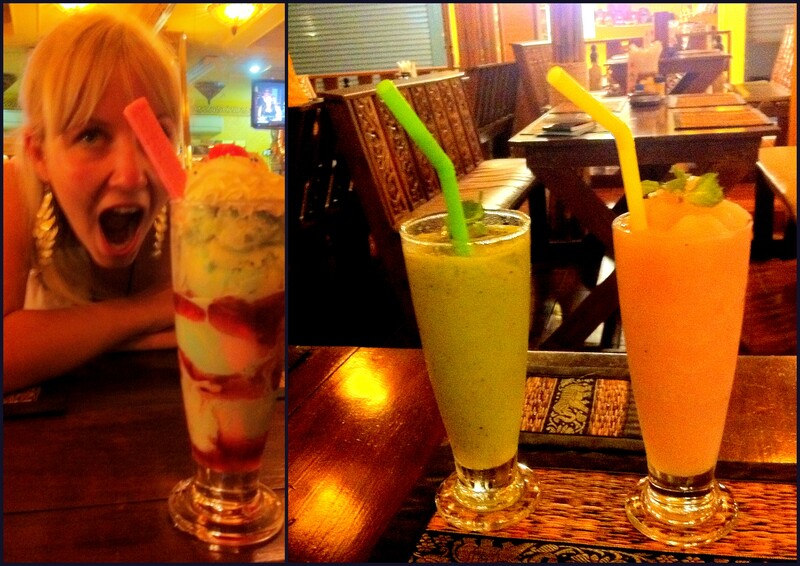 On the 11th day morning – as a result of the monsoon’s arrival – we ended up in Cambodia. Well, that was unexpected! But more on that in another post. An excruciating 15-hour bus journey from the capital down to Phuket during the first night. Was worth it in the end though, saved a few baht on accommodation. 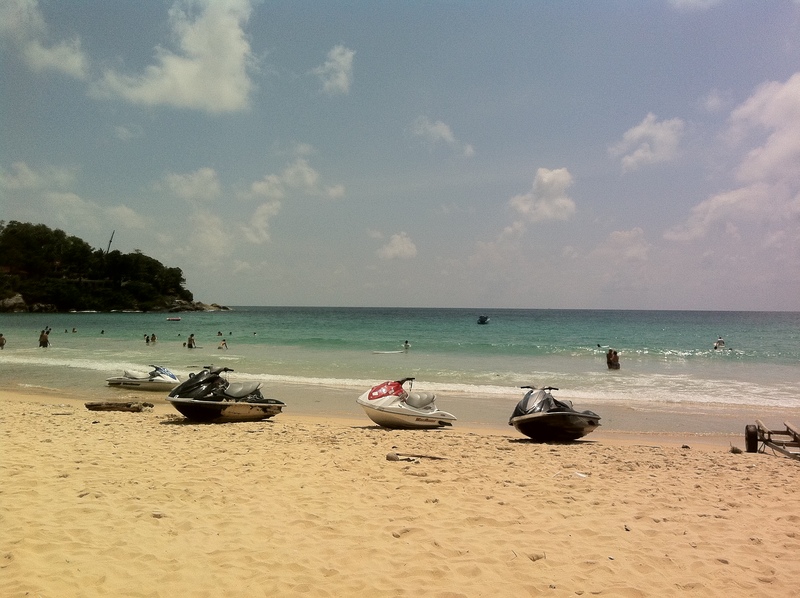 We asked the driver to drop us off at Kata Beach – based on what we heard/read it was one of the least touristy or crowded beaches. And it really was, what a heaven! There was barely anyone else on the streets. Found accommodation straight away at a Swedish guy’s guest house that felt complete luxury (600 baht for a night for a en-suite double room) after the tiny room back in Bangkok. 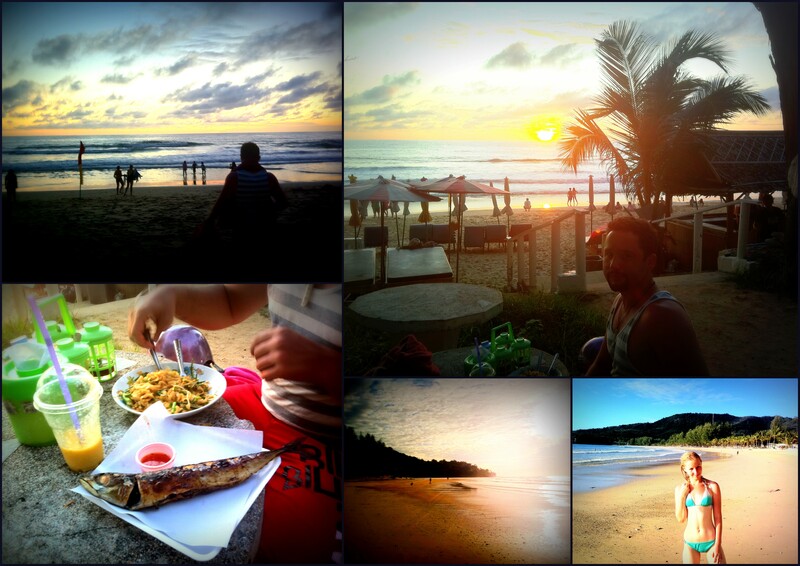 We were hungry, sleepy, jet-lagged and all in all grumpy, but couldn’t sleep when the beach was a 2 minute walk from us. So popped down to the 7Eleven on the way to get some hot-dogs (never would have imagined I would eat hot-dogs in Thailand, but tried REAL Thai food the day before and my sensitive squeamish stomach was still getting used to it, so had to be extra careful). Then off to our very first beach in Asia. Spent all day on the beach, went for dinner in the evening and then slept at least 15 hours. The next morning we hired a scooter (150-200 baht a day), bought some breakfast in a shop and off to explore the island, leaving on the road leading us to south. We stopped at the first viewpoint to have breakfast – now this was a breakfast with a view! 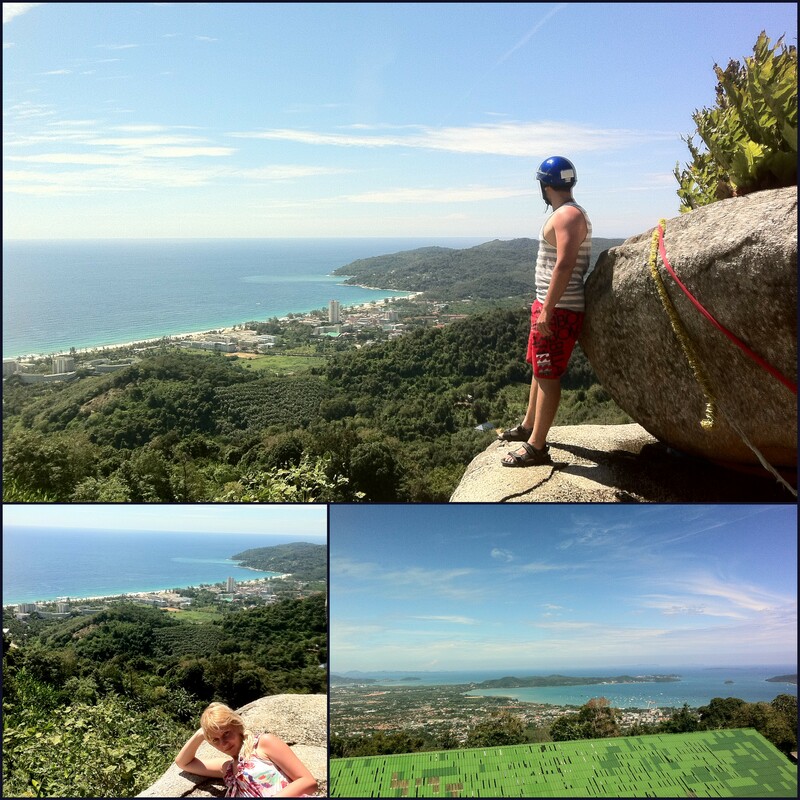 Popped down to check out a few beaches afterwards, then up the hill to visit the Big Buddha statue on the top of the highest summit. 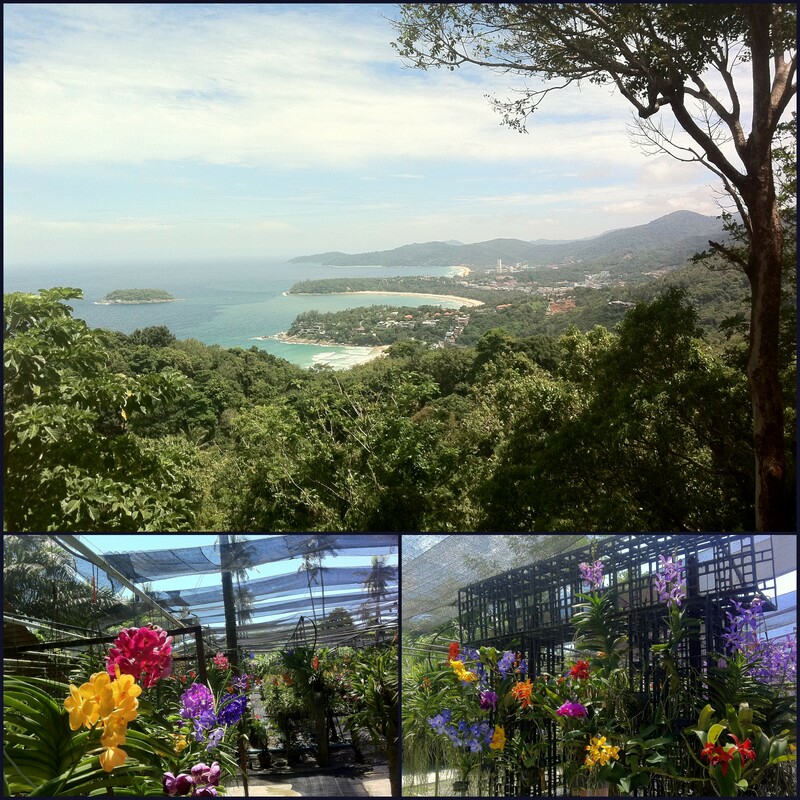 On the way we found an orchid farm… oh the colours of those flowers! There were literally viewpoints after viewpoints, but didn’t stop everywhere (even though I wanted to). Big Buddha statue was only ok, commercialized and touristy. The view would have been amazing, but they just had to build an enormous shopping area with an ugly green roof top to ruin all photos. Well irritating. 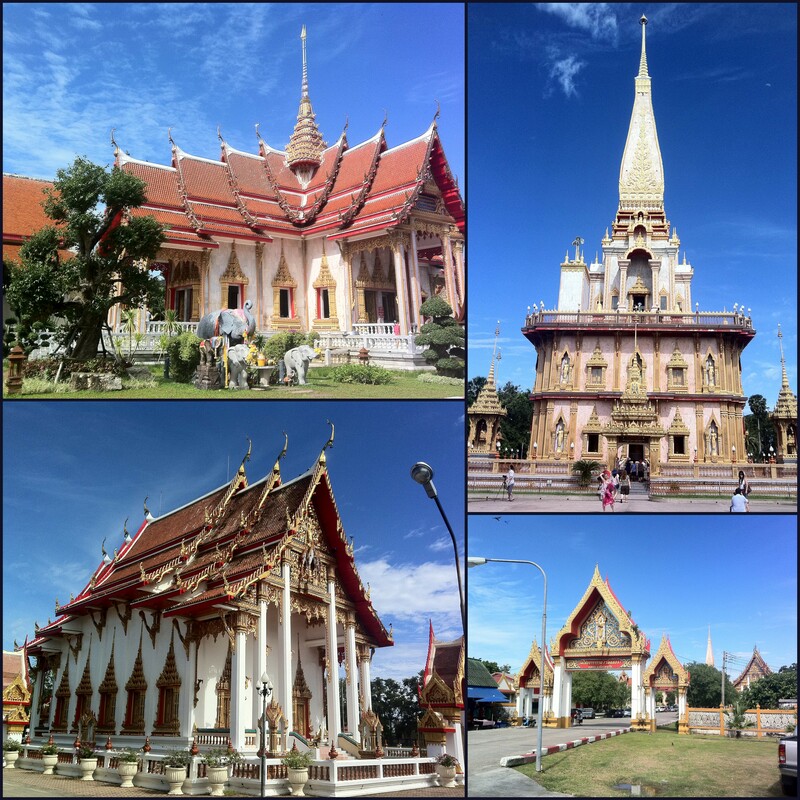 As we decided to check out the northern beaches, on the way back to the coastal road discovered Wat Chalong, which is one of the Buddhist temples (wat means temple) on the island. To me, it seemed like various temples next to each other, there were different sizes and styles of them. Absolutely stunning. We found ourselves starving so stopped at Surin Beach for the most delicious meal and it came with the most romantic and gorgeous setting of the whole trip. The food was very very simple, the best pad thai we had during the trip, some kind of grilled fish with sweet chili sauce and fresh mango lassi. Why am I emphasizing fresh with the juice? All ingredients were FRESH. And that is where the magic lays. We went for a swim afterwards, then headed home as it was already quite late and weren’t sure about the distance back to Kata. After getting home we couldn’t sleep so went out for some juice, lychee and kiwi shakes (Greg ordered the kiwi one obviously, you can see a bit is missing from the glass, couldn’t wait 3 whole seconds until I took the photo. Yes, it is his non-existent self-control is what we are talking about, especially when it comes to food). Oh and my enormous fruit sundae.